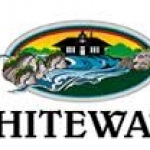 Several unrelated public works projects were approved the Whitewater Common Council during its first meeting of the year Tuesday, including the creation of a “communication subcommittee” to keep the public informed of the Milwaukee Street reconstruction project. The subcommittee will be tasked with informing city residents, particularly those on the east side, about the timeline and progress of the Milwaukee Street project. The project area consists of the Milwaukee Street intersection with Newcomb Street eastward to the Milwaukee Street roundabout, and is scheduled to start later this year. According to city manager Cameron Clapper, the city has failed to formally communicate well to residents in the past, and he hopes to correct that moving forward. “I would like to, in light that Milwaukee Street will be shut down for a long time this year, and next year will include from the roundabout to the bypass but will not need full shut down then, make sure we are in contact with all those affected,” Clapper said. “Since there are so many affected along this route, I am proposing we make a subcommittee with residents and business owners who will be directly in communication with them during the process,” Clapper said. “We need the resources and assistance of the community members to make sure word gets out as well as the impact on the detour routes. We need to make sure everyone has appropriate signage so people know that business are open in the area during the construction.” Clapper said he wanted to get the endorsement from the council about the subcommittee, before moving ahead with it, and have one or two council members on the committee, which will also include representatives from the city’s Chamber of Commerce. “I think this is going to be a mess, and we can promote the businesses in a positive way,” said council member Carol McCormick. McCormick volunteered to serve on the subcommittee. A future meeting to form the subcommittee and recruit residents and affected business owners, which will have ad hoc status, will be held in the near future, Clapper said. Additionally, on other unrelated public works matters, the council approved two parking changes, two task contracts on street projects and a contract for a new amphitheater in Cravath Lakefront Park. First, the council approved removing the current bike lane to allow parking on the south side of E. Main St. from E. Milwaukee to N. Fonda Streets. As recommended by the Public Works Committee, the new configuration will be the same as Wisconsin St., from E. Milwaukee St to Clay St., where there is a bike lane on one side of the street and parking on the other with “sharrows” — indicated shared bike lane and parking arrows— painted on the pavement. According to Brad Marquardt, city public works director, the change was requested by local business. Those businesses originally sought to have temporary parking to load vehicles. Resident Brienne Diebolt-Brown — who is running for city council in April — said she was concerned about the removal of the bike lanes, mainly for children who ride bikes to Brainfreeze, including her own. She also questioned why the lanes were changed when the businesses only sought temporary parking for loading Clapper said that the business owners “could not isolate a specific time for loading or unloading,” adding the bike riders would need to go around the trucks, and farther into the street, before re-entering the bike lane. That is a safety issue, he said. “This change makes it clear that bicycles are not supposed to use that side,” Clapper said. The council passed the change unanimously. Also, on the recommendation of the Public Works Committee, winter parking hours are reverting back to no parking between 2-6 a.m. from the current 2-5 a.m. The city changed the hours in April 2017, but according to the Public Works Committee, that reduced the effective time city crews have to plow streets by 25 percent. The changes will take place next winter, Marquardt said. The only exceptions to the 2-6 a.m. parking restrictions will be downtown business, who can begin parking at 5 a.m. (to unload deliveries, etc.) or by “special advance arrangement with the Whitewater Police Department,” according to the revised ordinance. Second, the council approved two separate contracts with Strand and Associates on upcoming projects. First approved was a not-to-exceed $30,500 engineering services contract for the Walworth Avenue storm water project. Councilperson Lynn Binnie said he was glad this was being fixed, because, he said, “the area floods like a lake” near Douglas Court and Walworth Avenue. The second project approved was a $38,500 contract to have Strand conduct real estate acquisition services for temporary easements on 34 properties for the Clay Street reconstruction project. “The city received some state funding for the contract, and it must follow certain regulations,” Marquardt said. “We are looking to Strand to help on this project to make sure those regulations are being met.” No actual land is being purchased by the city; the easements are needed for construction purposes only. “This basically allows workers on the properties during the course of construction,” Marquardt said. Third, the council approved a $12,852 contract with Ayres and Associates for the planning and design of a new amphitheater in Cravath Lakefront Park. The amphitheater will replace the existing platform stage in the park. The contract includes design work, civil engineering, landscape architecture, bid and construction document preparation. The plan is to have the amphitheater in use in time for the annual Fourth of July Festival held at the park. Councilperson Jim Allen voiced concerns about the amount of the contract. Council member Chris Grady said with the upcoming lakes drawdown, the amphitheater would be a sign that the city is still welcoming people into the park area. After further discussion, the council passed the contract unanimously. Clapper commented on the forward progress on the projects approved by the council. • Approved an updated contract with POLCO through the end of 2019 for $3,000. The city has utilized POLCO since September 2016, and the item was included in the 2019 budget process. POLCO is an online system in which the city government can survey residents on various issues or concerns about the city. “This is a good avenue other than Facebook or social to have people give feedback,” said Kristin Mickelson, city communications director said. “There have been over 4,500 individual comments in the last year,” she added. Councilperson Chris Grady voiced concerns that POLCO, which started in Whitewater, has left the city has its primary location. Clapper said they still have space in the city, but Whitewater is no longer their main base. • Approved two items regarding alcohol licenses on its consent agenda. First, it approved a change of agent for Casey’s General Store, and second, it approved a licensed-premise change to include basement storage for Cheapshotz Tavern. • Approved two ordinance amendments on their second readings. Approved were new regulations regarding yard fences in the city and an increase in dog license fees. For a neutered male dog and/or spayed female dog, the license will be $16. For unneutered and/or unspayed dogs, the license will be $33. That is an increase from $15 and $28, respectively. • Approved a routine salary resolution amendment. • Heard the annual report from the city tourism director Marie Koch. • At the end of the open meeting, the council adjourned into a closed session, and did not reconvene in open session. Topics under discussion were grocery store recruitment updates and negotiations regarding communication center partnerships.